Imagination can turn the simplest of places into a playground. 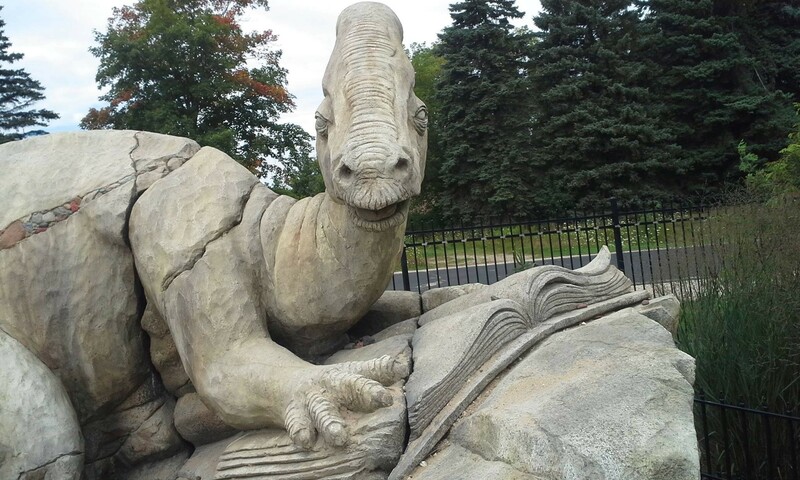 But at Bookworm Gardens in Sheboygan, Wis., not much imagination is needed to turn the storybook garden into an enchanted playground. My husband and I spent part of our week in the Sheboygan area, which is known for its bratwursts, Lake Michigan beach, and annual Children’s Book Festival (Oct. 10-12 this year). 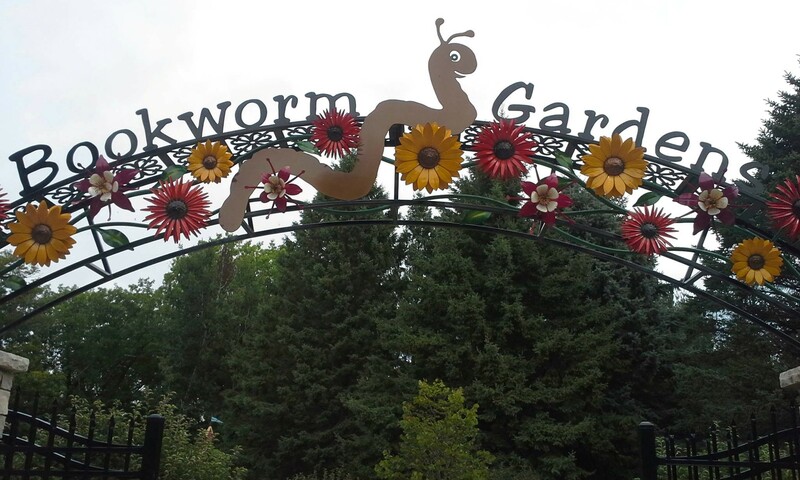 Our first stop (before even checking into our hotel or stopping for lunch at Schulz’s Restaurant) was Bookworm Gardens. The storybook gardens is nestled off a four-lane highway on the University of Wisconsin-Sheboygan campus. It features two acres of literature-themed gardens circling a storybook cottage that houses the gift shop. Many, many other books are featured in small and large ways as well. My favorite element of the garden, though, was the library pillars. 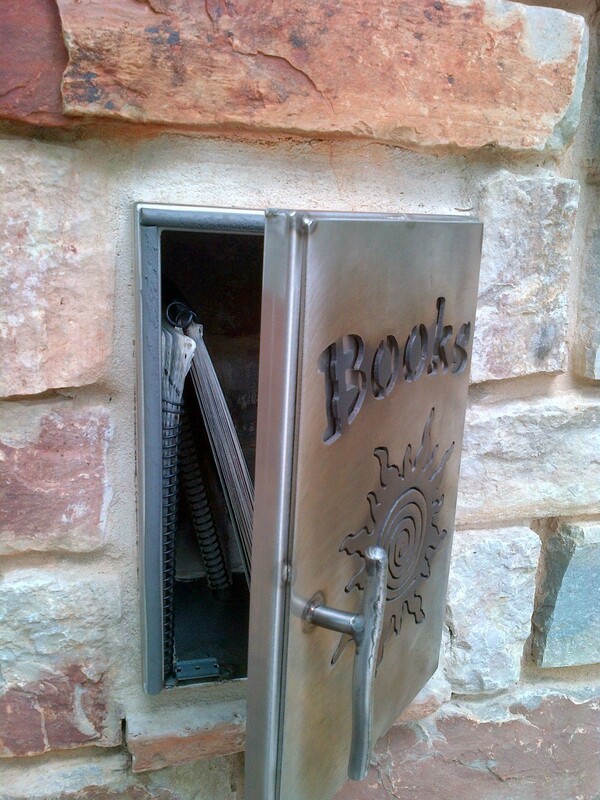 Brick pillars are located in each garden, and behind a metal door are spiral-bound, laminated copies of each featured story for parents to borrow and read aloud with their children. Bookworm Gardens is full of interactive opportunities (including musical instruments, a station to scrub a statue of Harry the Dirty Dog, and a station to write letters to Twitch the mouse), but the library pillars are the best by far. The little libraries give parents and children a relaxed bonding time between periods of dashing from one garden to the next. Plus, they introduce children to new stories linked to the displays. Almost all of the books with garden displays also are for sale in the gift shop, so if a child falls in love with a new story from the library, there’s a good chance parents can buy a copy before they leave. The gardens are made to be kid-friendly, with almost every location featuring interactive activities. I recall seeing only two signs requesting guests not to climb onto displays (one was a tree near the “Horton Hatches an Egg” station, and the other was the dinosaur statue). Everything else is an open door to letting the imagination run wild. Houses, barns, and the Magic School Bus can be entered and exited as often as guests please. In fact, several kids spent a lot of time playing on the Magic School Bus. I had to wait my turn to take Ms. Frizzle’s spot in the driver’s seat. Mead Public Library: The outdoor fountain is the perfect spot to curl up with a book. The pillar also is a must-see, with engraved metal plates showing the progression from children’s to adult literature. 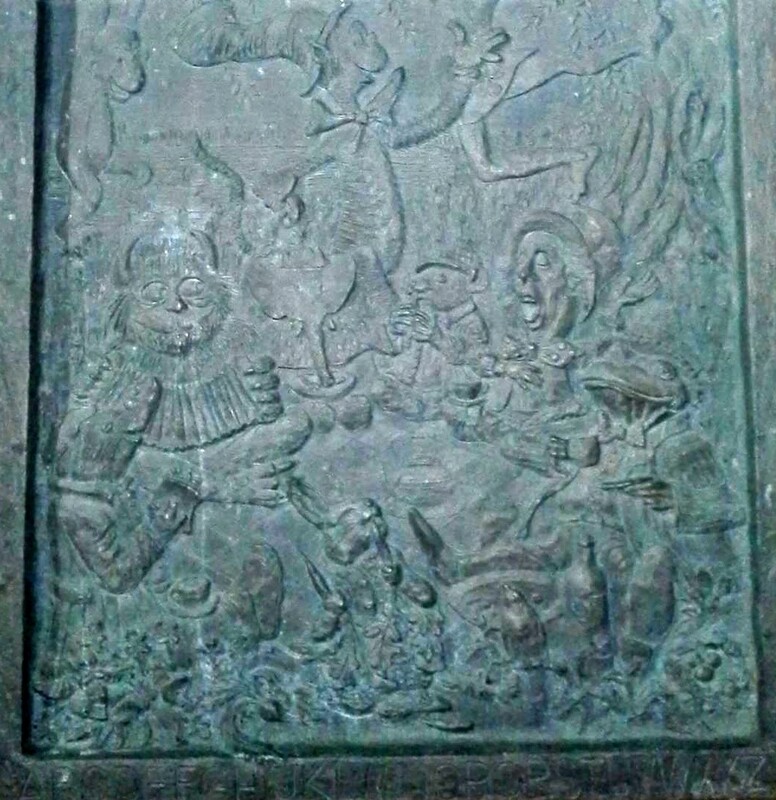 How many children’s literature references can you spot in the engraving shown at left? If traveling with children, check out the Above and Beyond Children’s Museum. You’ll know you’ve found the right place when you see the giant ship sticking out either side of the building. If you visit Sheboygan from Oct. 10-12, be sure to check out the Children’s Book Festival. Travel about 11 miles west to Plymouth, Wis., and check out Dear Old Books, 404. E. Mill St. This is a used book store that also shelves rare and out-of-print books. Also in Plymouth, a few doors down from Dear Old Books is Book Heads, an independent book shop that sells new titles as well as a few local authors’ books. This entry was posted in Reading and tagged books, children, children's books, family, reading, travel. Bookmark the permalink.